Are you looking for a way to burn off all that food you will be eating on Thanksgiving Day or just looking for an excuse to wear a turkey costume? Either way, a Turkey Trot is for you! 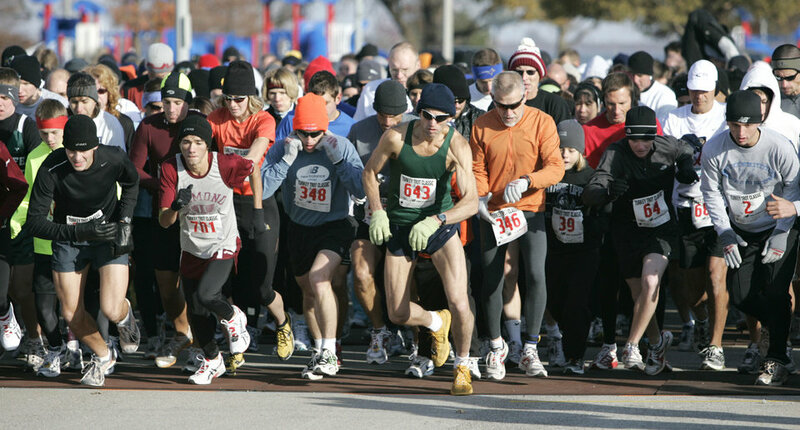 Check out the list of Turkey Trots happening around the state of Oklahoma this year. Do you have any other Turkey Trots to add to this list? Strollers and leashed animals are welcome. All finishers receive a finisher medal! 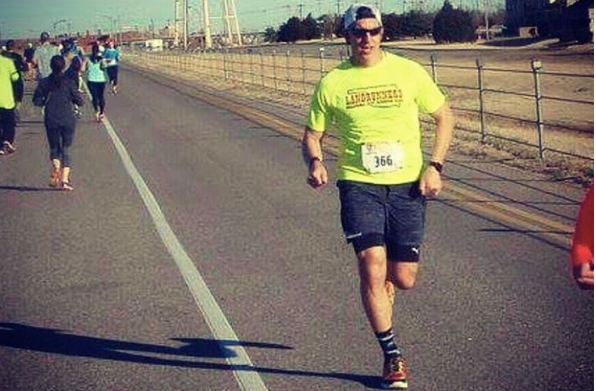 Last fall I ran in the Route 66 Half Marathon and the introvert in me really enjoyed listening to the funny conversations other runners were having around me. The Oklahoma City Memorial Half Marathon was no different and many of the conversations were dominated with potty talk. That’s the beauty of runners; if you run long enough you lose your inhibition and have no problem talking about your bathroom business. For much of the first 6 miles I heard conversations like these. But beyond bathroom news, there was a lot of love and genuine care on the course. I saw several couples holding hands, many people running with “In Memory of…” bibs on their backs, spectators thanking the runners, runners thanking the spectators, and lots of candy, beer, liquor, popsicles, donuts, bacon, and sausage being handed out along the course. My family even came out to cheer me on. They weren’t planning to come out to the course so it was a great surprise to find my adorable husband jumping up and down at mile 10 to get my attention. I got two hugs from my girls and it was felt amazing to have them there supporting me. God bless my oldest daughter who thinks that because I bring home a medal that I won the race. It’s beyond flattering she thinks so highly of me and believes it’s possible for me to win these races. Her faith in me means more than all of the racing medals. I hope she has the same confidence in herself throughout her life. Although there was a lot of chatter at the beginning of the race, by mile 11 when exhaustion had begun to set in, a hush had taken hold of many runners. For a moment we were almost a harmonious drumming of heaving breathing and rubber soles scuffing the pavement. All thankful to be in misery together but eager for the finish line. For me, the race was a mixed bag of emotions. It was exhilarating to participate in a race with such strong community ties. Also, this event was kind of a celebration of the running community I’ve become a part of over the past year. As an introvert I have a difficult time making new friends but through Oiselle and running I have met so many amazing women. I’m extremely proud to call these women my friends. It was great to have the ladies that I have spent so many early morning miles with there to cheered me on and I was able to cheer them on as well. Despite all the great things about the Oklahoma City Memorial half marathon, running continues to elude me. I have hit a plateau with my speed and it’s maddening. I try different racing strategies and training plans but I can’t seem to break into a 2:10 half marathon. Despite a feeling of disappointment of my overall performance, I am not defeated. I came home Sunday hungry for another race. Right now I have no races planned for the remainder of the year but need to figure out a plan soon. I’m deliberating between spending the summer on shorter distances, weight training and speed work or just biting the bullet and training for a full marathon Any advice? You guys! I’m gonna get real with you for a minute. I run/train a lot. I’ve been training consistently for half marathons for over a year now. The Go Girl Half Marathon in OKC was going to be my break through race where I finally complete the race in under 2:10. But I freaking failed. Hard. With as much as I run, I’m embarrassed by my failure. Yes, my training over the past few months has completely sucked. I started a new job and am just now finding my rhythm of working full time, training, parenting, and wifing; so yeah, my schedule has been off. And my IT Band has really been acting up. I can’t seem to find shoes that I feel comfortable in and my training runs have been painful. Lately, my relationship with running has been a struggle. Despite all that, I continued with an altered version of my training plan to allow for my IT Band to rest. I was determined this Spring racing season would be when I finally get closer to the 2:00 Half Marathon. I was mentally prepared for the the Go Girl Run. Because my training had been off and I wasn’t in top physical shape, I knew my mental game had to be top notch. And actually, my race started off great. I was able to eat a fraction of a bagel (eating always upsets the ole tum tum before a race), drink a bit of water, and use a restroom with indoor plumbing before the race (no one likes port-a-pottys). The temps were chilly but not too bad. It was a smallish race so the starting line was manageable. The race started in the dark and I couldn’t tell you where we ran because I was just following the person in front of me. I wasn’t able to keep a consistent pace at first because I have a difficult time seeing in the dark. A women in front of me tripped on the road and fell hard so I’m certain I’m not the only one that has difficulty running in the dark. By mile two I fell into a nice pace that was challenging but still felt “good”. Before I knew it, I had reached mile four and the game plan was to just maintain current pace/effort for the next four miles. I ROCKED the steady pace portion of my run! I hit the half way point with a time of 1:01 and a split pace of 9:22. I was right on target and hitting my goal pace like it was my freaking job. I was going to do it! I was going to get below 2:10. I drank a little water and took in a bit of fuel. Then mile 8 happened. I just can’t seem to get past the affliction that is MILE 8. At this point the 22 mph wind made it feel like I was dragging a piano behind me. This is the point that sharp pains shooting through my knee were all I could think about (due to IT Band). This is the point where the wheels straight fell off and sent me crashing into a pile of self pity and despair. I had to stop several times to stretch out my leg and walk to alleviate the pain in my knee. By mile 12 the pain was so bad I contemplated not finishing. But I did and I’m glad I did. My overall average pace ended up 10:08 and a final time of 2:12:40. No PR for me. [sad music] UGH! I JUST WANT TO GET FASTER! HOW DO I GET FASTER?!!? But my lack of preparation and poor performance didn’t mean the entire event was a bust. I wanted to make the best of this well organized, fun race celebrating women. So that’s just what I did. Nebraska Brewing Company was there serving up delicious microbrew beers. I tried their strawberry brew and it was perfection in a plastic cup. They also had a tent where you can have a custom t-shirt made so of course I had to have a Run Oklahoma shirt made. It’s kind of my favorite thing from the race. I met up with old friends and made new friends. I also got to celebrate in a friend’s first ever half marathon. Hopefully I can take the things I learned from this race and crush my goals at the next one. The Runner Like You series is back! It’s been a while since the last spotlight (the struggle bus has been making frequent stops to my house lately). Is there any better way to bring the series back than with a person who has been on top of their running game lately? I think not. 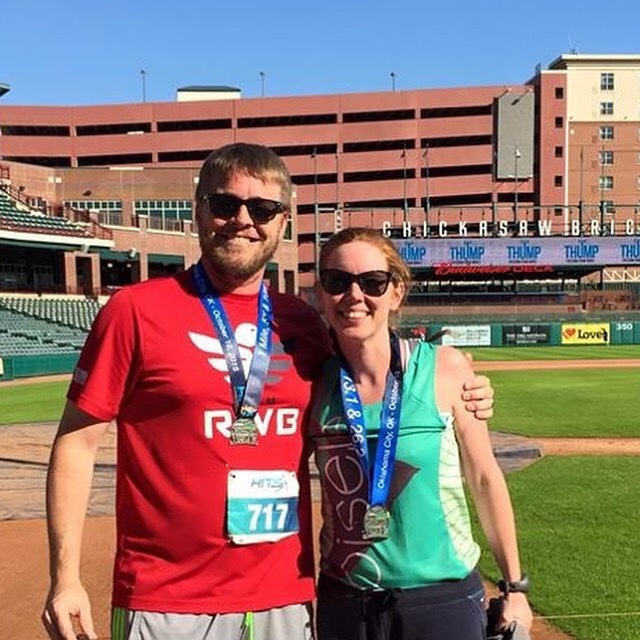 Late in 2015, the Runner Like You series was created as a way to spotlight everyday Oklahomans who are doing amazing things like running in numerous races or simply remaining dedicated and showing up to daily workouts. The purpose of the Runner Like You series, as well as this blog, is always to encourage each level of fitness and running and to remove some of the intimidation out of the sport by showing that runners are every day people finding a way to fit running into their lives. This month’s Runner Like You, Clint Owens, is no different. I first “met” Clint through his Instagram feed. The man is ALWAYS racing. Seriously, he is at pretty much every single race in Oklahoma City. 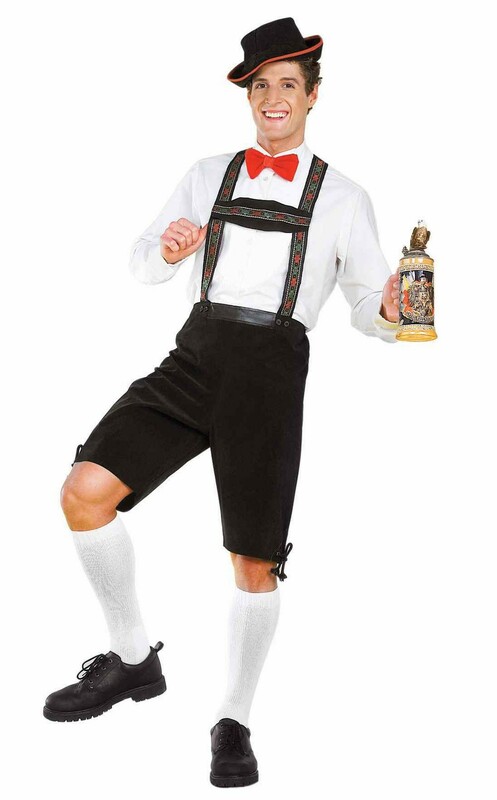 So if you see him at a race (and you likely will), say “hi”. Clint and I were often at some of the same races so I liked to read what he had to say about each race. Beyond the races though, I was inspired by his dedication to training captured in his Instagram feed. The interesting thing that really caught my eye was when Clint began wearing a Training Mask. If someone is willing to wear an odd looking mask in an effort to intensify training, that definitely deserves a spotlight and I desperately wanted to ask questions about the mask. Without further ado, take a minute to learn more about Clint, a Runner Like You. A: I always loved to run ever since I was a kid. My favorite event in grade school was the 600 yard dash (Not sure if they even do that anymore, I am old!). From there, probably my college years I was the most consistent, running 6 miles per day during the week. I didn’t actually participate in my first race until the 2009 Redbud Classic and decided to run the OKCMM half marathon that same year. Q: Do you remember the first moment you “felt like a runner”? A: Probably the first time I felt like a runner was after joining the Landrunners. The marathon training plans along with participating in the series races really helped keep me accountable and improved my running tremendously. It is a great group of people. Very inspiring to get up early on a Saturday morning to attend a training run and there be 300+ other crazy people ready to go. Q: Which is your favorite race distance and why? A: I enjoy the half marathon the best. My legs and lungs usually don’t get to cooking until mile 6 or 7 and I am able to push a lower pace toward the end and finish strong, provided that I am running injury free. Q: Do you have a dream race? A: I have yet to do a true trail race. I would like to someday do a 50K destination trail run, preferably in the mountains of Colorado. Q: You’ve started to train with a Training Mask. How is your performance benefiting from wearing the Training Mask? A: The training mask is awesome. After battling plantar fasciitis for over a year, I changed my training up in order to reduce injury. This included reducing quantity of miles with more quality miles and increasing my cross-training. Using the mask has enabled me to shorten my workouts and strengthen my lungs at the same time. I am already running at pre-injury pace and getting faster each week. Last month’s blog post that highlighted “Runner LIke You”, Becky Craig was a great success! There are many amazing folks here in Oklahoma that make running and fitness a priority. It’s extremely rewarding to know that others, like me, enjoy learning more about these dedicated runners. In addition, it’s an honor to highlight a few of those runners and share their stories and contributions to running communities around Oklahoma. I’m ecstatic to introduce you to a runner that makes marathons appear to be a party. Her enthusiasm and flare for the sport make you want to join her on long runs or, at the very least, cheer her along from her Instagram feed. Jen is an Arts education advocate, a member of Red Coyote Racing as well as Oiselle Volée. She is also a Nuunbassador and last but not least, Dopey certified (completing the 5K, 10K, Half Marathon and Marathon within pacing requirements at runDisney). 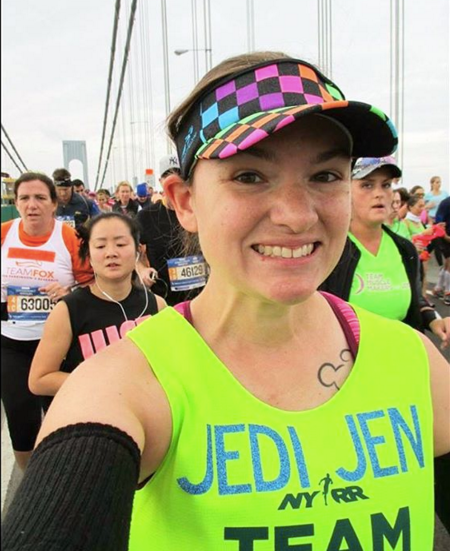 Jen was nice enough to answer a few questions about how she got started and what her most recent marathon meant to her. 1. Why did you first start running? Basically because I couldn’t run! I used to be a band director and as a part of summer band the students ran to help build endurance to perform a 7+ minute marching show. I wouldn’t ever ask a student to do something I wouldn’t be willing to do myself, and my first couple years of teaching I struggled to keep up with ANY of the kids. So, during spring break in 2010, I started the couch-to-5k running program in hopes that I could somewhat keep up with the students during summer band. A friend said I should sign-up for a 5k since I was doing the training. I had no idea what a 5k was or that races were even a thing. I found one to run, and have been hooked ever since! 2. You just finished the NYC Marathon. To gain entry you completed fundraising for Team for Kids. Can you tell us about the timeline for fundraising and your experience for running for a charity? I didn’t sign-up to be a charity runner until early March, so I had from March until October 1st to raise my commitment of $2,620. Registration to be a charity runner for 2016 is already open so participants could potentially have almost a year to raise the funds. I registered at the same time as another running buddy here in OKC with the commitment that we would help each other with training and fundraising. We were very fortunate to have so many people step in to help us fundraise! One of our running buddies typically brings a crockpot meal for after our Thursday social runs for everyone to enjoy. She hasn’t ever asked for compensation, but people have often tried to give her money since she essentially made their dinner! After we started fundraising, she set up a jar to collect donations towards our efforts! Team for Kids spoke to me from the first moment I heard of the organization, and after researching other causes; I knew Team for Kids was the perfect place for me! Even though Team for Kids is based in NYC, money raised goes to school programs all around the country. TFK did host weekly runs in NYC for the locals (or if you were traveling in the area you could stop in! ), and they were great about posting accountability posts and weekly emails for those of us that couldn’t join the fun in person. Jen met with Olympic silver Medalist, Boston Marathon Winner, and Team for Kids ambassador Meb Keflezighi at the 2016 NYC Marathon. Fast forward to race week . . . the NYC Marathon has a formal opening ceremony on the Friday before the race. It is basically a celebration and a parade of all nations represented. Team for Kids gets to start the parade since they are the biggest charity partner with the race. I was lucky to get a spot in the parade! I got to meet kids that directly benefitted from my fundraising efforts. WOW! (I also got to meet Meb who is a Team for Kids ambassador!) On Saturday morning, TFK hosted a breakfast for all fundraisers. Again, we got to meet more kids and we were able to visit with some of their parents also. By the end of the breakfast, my heart was completely full. I started training with a specific finishing time and was determined to do it, but after the full experience of fundraising, I honestly just felt completely lucky to get to run the NYC Marathon for Team for Kids! The fundraising experience was so fulfilling that I know that’s my path for future races. If I ever get a qualifying time for certain major races, awesome. . . but I will be running them for charity! 3. You have run over a dozen marathons and about 20 half marathons. Each of these races takes a lot of time for training. How do you stay motivated when you don’t want to run? Wow, this question has so many answers! Sometimes a hot cup of coffee or a cold popsicle waiting at home motivates me to just go get it done. Other times I just remember my goals and how bad a half marathon or marathon will hurt if I don’t properly train. I’m a terrible liar, so knowing my friends can ask me at any time how my training is going also provides motivation. I would be embarrassed if I was constantly lazy during a time of training! My husband is great at keeping me motivated. I have my conscience, but I also have his voice to remind me of my goals, and sometimes our schedules line up for him to run with me! In the spring I am a training coach for Red Coyote Running & Fitness, so I have built-in accountability! I need to always be on my A game to help those in the training program. The participants always inspire me and make running so much fun! (Even in the dark, cold, wind, snow, etc…) As I mentioned earlier, training for NYC took on a whole new meaning for me. All of my training miles had so much value, whether I felt like running or not. I was very focused on achieving my goal, and making Team for Kids proud to have me as one of their runners. 4. Because you have run in so many races, what are the top three “little things” you do to prevent injury? Running more frequently while gradually building miles. (To prevent injury…wait, what?) Running 4-5 times a week has helped my body get used to running frequently, and it’s still possible to do so while gradually building miles. When I first started training for long-distance races I was lucky to get in three runs/week, and I wondered why I hurt so much after long runs. Now, I love running a 100+ mile month with my longest run only being 10 miles! Or 36 mile weeks with my longest run only being 14 miles. Listen to my body! If something hurts, I try to not ignore it! It can usually be a simple stretching solution, or maybe I slept in a weird way one night. Or maybe it’s new shoe time. . . I mean, isn’t it always new shoe time?! Sleep! It’s easy to remember that you have to get to bed early the night before a long run, but we can sometimes neglect sleep throughout the week. It’s obviously difficult for most adults to nap on a consistent basis, so getting to bed at a decent time is very important every night of the week for successful training. Jen and her husband finishing a runDisney event as newlyweds. My next big race weekend will be the RunDisney Star Wars Rebel Challenge (10k + Half Marathon) + 5k over three days! My husband and I are running these races together as a part of our celebration of our first wedding anniversary! 6. 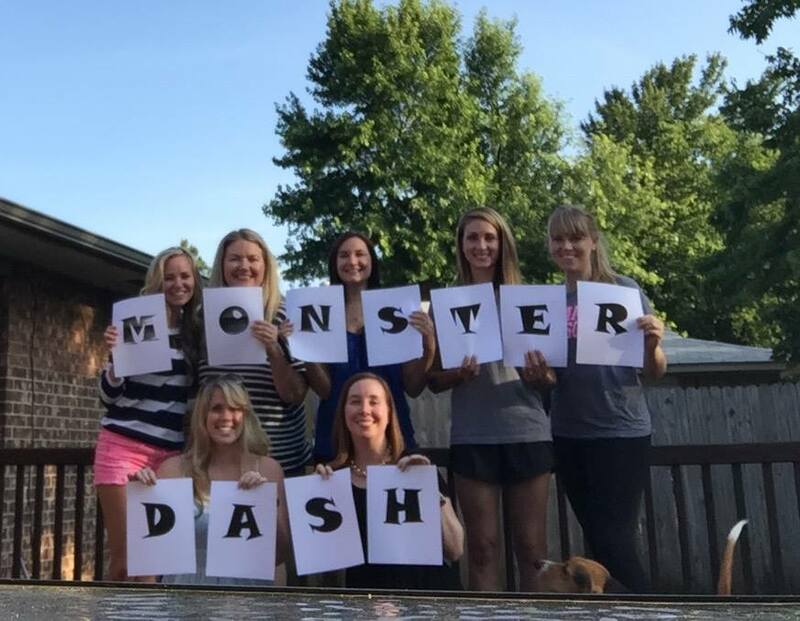 If you could deliver one message to fellow runners like you, what would it be? Smile! (And sparkle!) My good friend Layla always reminds me before a big race to SMILE! Whether I am running a personal best or personal worst, I am always thankful for the experience. Smiling doesn’t exert extra energy, and makes everyone feel better. I try to take a selfie after every run to remind myself that I did it, and still smiled at the end no matter the quality of the run. Sparkle! Whether that means literally, like with a sparkle skirt, or just find your own sparkle! Don’t be afraid to be yourself! I think one really unique aspect about running is that it attracts all types of people. There is no reason to fit in a mold in running, so why try? If you want to run races in tutus, do it! If you want to repeat the same races over and over, do it. Running is such a freeing experience, no sense in not being yourself! Compression Socks: Yes or no? Depends on the situation. I rarely wear them for races anymore, but frequently use them for recovery! Running Solo or with a group? There is no short answer on this one, ha!! Both are very special to me for different reasons, and I’m not sure I could chose! Okay, guys. So if you don’t know, November is like THE month for marathons. Like every state has a marathon this month and it’s awesome. 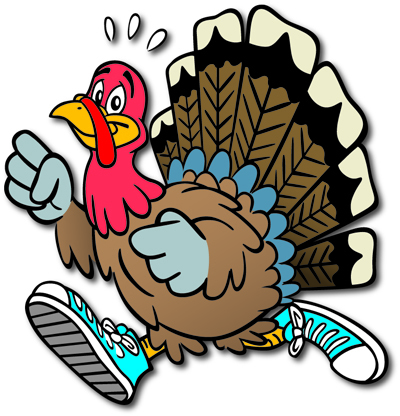 But rather than focusing on all of those big name, hugely famous, amazing marathons, we here at Run Oklahoma are going to mix it up and stick with all things Turkey Trot. “What’s a Turkey Trot”, you ask. Well, only the most wondrous thing to happen to Thanksgiving since pumpkin pie! It’s a 5K road race that is run as a way to burn calories prior to an indulgent Thanksgiving dinner. We’ve gathered a list of the Turkey Trots scheduled around Oklahoma and encourage you to check one out. Consider making them a party of your family’s tradition. It’s been six long years since my last half marathon. That race was quite a humbling experience filled with IT Band issues and foot injuries. I was new to long distance running and thought the only training I needed to do was to run and still ate whatever I wanted. Since then I have moved to a different state, changed jobs, had four surgeries, and two kids. My biggest take away from my first half marathon and subsequent life changes is that taking good care of myself goes a long way in my training. So over the past few months, in addition to my runs I incorporated clean eating principles and strength training using The 21 Day Fix. The half marathon I ran this weekend was so vastly different than my last. I wasn’t plagued with injuries, I felt strong, and had a bond with the local running community. This was also my first race in my Oiselle singlet. It felt amazing getting to rock that thing, FINALLY! Considering I got a PR, this race gave me loads of confidence to continue training and striving towards my fitness and running goals. 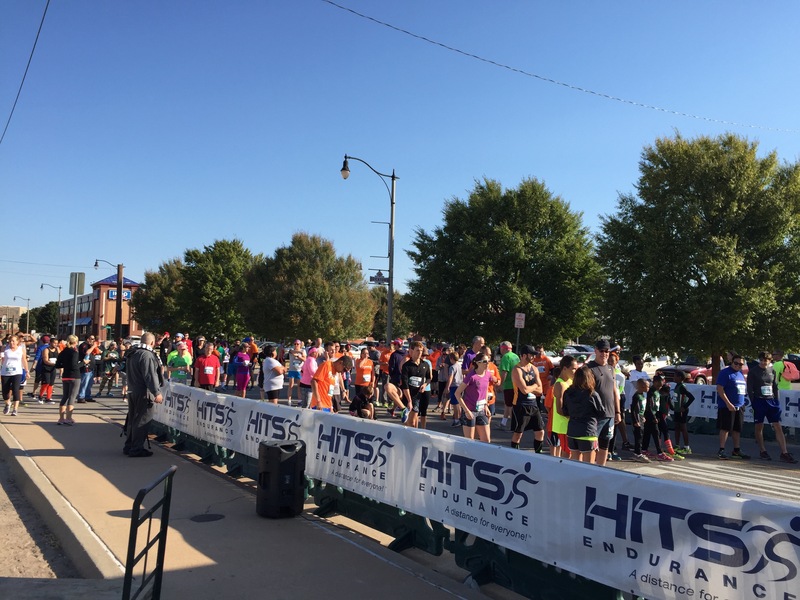 This past weekend I ran in the HITS Running Festival in downtown Oklahoma City. I was hemming and hawing for months about whether or not to sign up. So the day before the scheduled event, I had the brilliant idea that it could serve as a good dress rehearsal for the upcoming Route 66 Half Marathon and decided to go ahead and sign up. Ultimately, I’m so glad I did. I have so many positives comments on this race. 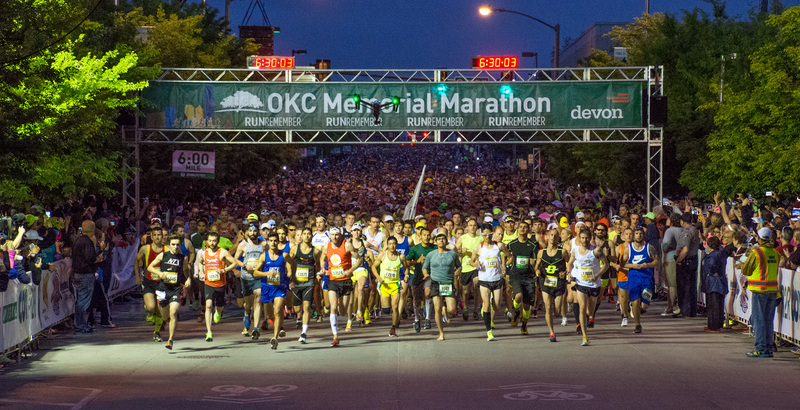 Field Size – The number of runners was drastically lower than events like OKC Memorial or Route 66. So the start line wasn’t crowded. I was able to arrive 30 minutes before the start, get a nearby parking spot, and had plenty of room to warm up. A Distance for Everyone – They really offered every distance from Marathon to 10K to 1 mile fun runs. I saw a lot of groups and families (mine included) with members each participating in races of various distances. Families could watch and cheer each other on throughout the morning because each race had a staggered star time. For example, the half started at 7am and I was done in time to see my husband start his 5K race at 10am. 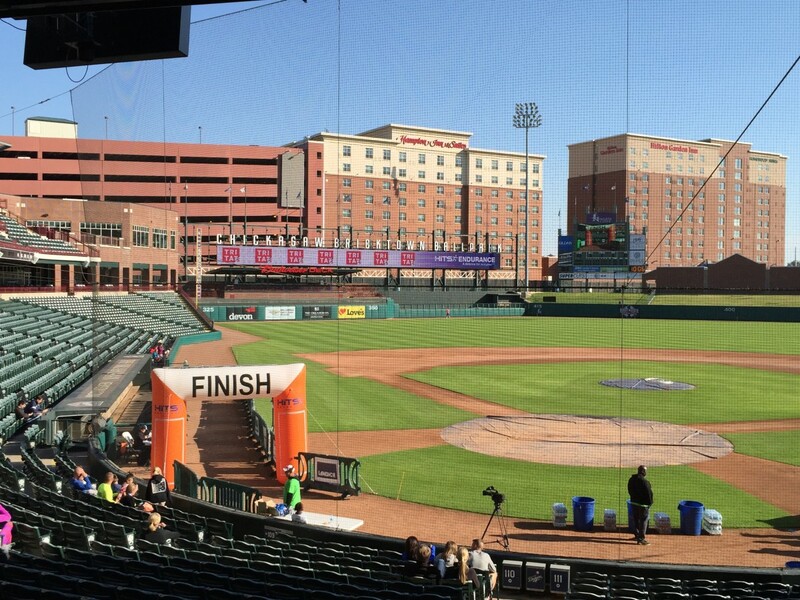 The Course – Each race followed a flat and fast course along the manicured River Trails of the Oklahoma River. The flat course was appreciated. Also, not having to fight cars and traffic was great as well. Refreshment on the Course – Each water aid table along the course was stocked full of water, gatorade, oranges, bananas, and mini candy bars. A varied and delicious selection. 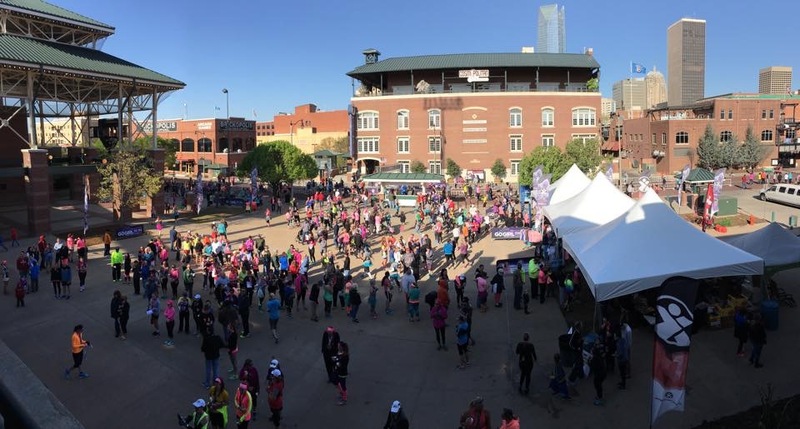 Ballpark – Each race FINISHED inside Chickasaw Bricktown Ballpark. This was sooo much fun. It made it nice for spectators because they could lounge in the stands and watch for friends and family to enter the stadium and cross the finish line. For the runners, you can feel like a super star athlete when seeng yourself on the jumbotron in the stadium and the soft and well manicured track feels so good on tired feet at the end of a long race. Treats After the Race – Lots and lots of donuts, bananas, oranges, grapes, bagels, coffee, and more. Super good snacks. I had a great time just snacking on treats and hanging in the stadium while waiting for friends and family to race. Every race has some downsides and this one had only a few. Smell – holy smokes y’all. You may be running on a well manicured path along the river but when you run by the stockyards the smell gets pretty rancid. It was a cool, windy morning and the smell was still pretty bad. And because it’s an out and back loop race you have to hit that smell a second time on your way back. phew! Confusion at Starting Line – When you were finishing your race you basically crossed back over where the starting line to get into the stadium to finish your race. This was confusing for some marathon and half marathon runners finishing their race while the 5K, 10K, and mile racers were starting their races. Not Enough Finisher Medals – They had many runners register last minute (like me) and therefore didn’t have enough finisher medals for everyone. It’s a bummer but it happens. They are ordering more and will be mailing them out to folks though. In speaking with several other runners from the event, there seemed to be a consensus between our opinion of the race and how it was organized. Ultimately, it was a great race that was executed well. I would run this race again and encourage others to check it out next fall. June is home to National Running Day. What better month go get out and run in a local race. Better yet, a local race may be a great way to enjoy the cooler temperatures that Oklahoma has been experiencing this year. Night Time Race – Night races are a great way to beat the heat of those long summer days. This year The Full Moon 5K Run in Tulsa features a Fun Run and 5K Race followed by a glowing party in the park. Folks will be decked in neon, flashing or glowing garb. Awards go to the male and female “Most Glowing” run costume. Celebrating Dad Race – Sunday, June 21st is Father’s Day. If you’re not sure what to get that special dad in your life, look no further, Dad’s Day 5K has got you covered.You can honor your Dad by entering his name and email address on the race Registration Form. An email will be delivered to him letting him know that you are running to honor him! Something a Little Different Race – Are you looking for something a bit more challenging or different than a typical 5K road race? If so, check out the Riversport Challenge – Duathlon. This event is on its 6th year and a great way to become acquainted with the Oklahoma River. The first leg of this race is 500 meters either in a kayak or on a stand up paddleboard. The second leg is a 5K Run on the Oklahoma River Trails. Don’t worry about bringing your own life jacket or kayak cause they are provided by the race. For more races around Oklahoma check out the Find a Race page. It’s been over a week since more than 25,000 participants toed the starting line, running to remember the 168 people killed in the 1995 Alfred P. Murrah Federal Building bombing. The Oklahoma City Memorial Marathon is truly a memorable event and runners in this event continue to make history such as female marathon winner, Camille Herron. Camille won in 2012, 2014 and crossed the finish line at 2:54:55 this year becoming the race’s only third time champion. Camille, 33, is a professional athlete who has won 18 marathons. 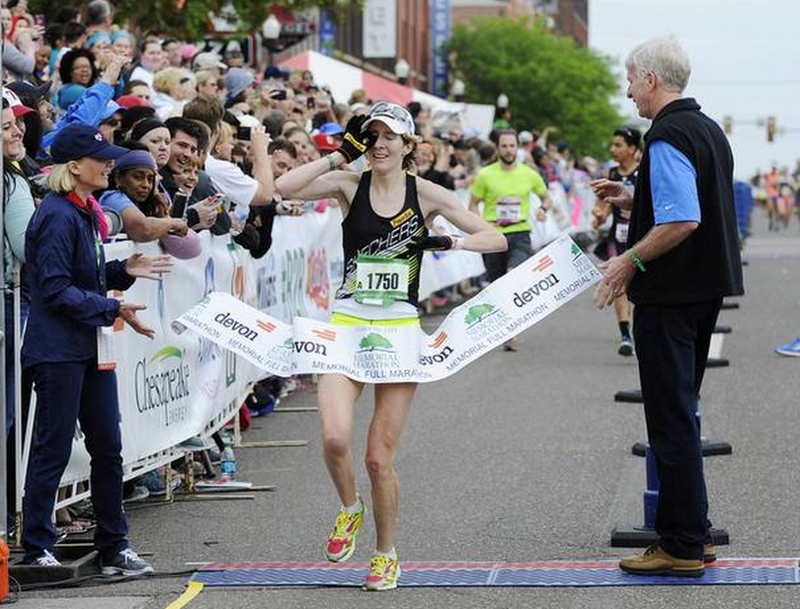 Two weeks prior to the 2015 Oklahoma City Memorial Marathon she was named to the U.S. National Team and won the national title for top marathon runners. But don’t let the intimidating racing record fool you. Camille is an extremely gracious pro athlete. She has a passion for running and wants to see it expand here in Oklahoma as demonstrated by her willingness to allow RunOklahoma.com interview her. She kindly took time out of her busy schedule to answer a few questions about her favorite part of the course and how she celebrated her third victory. Q: What did it mean, to you, to be able to wind the OKC Memorial Marathon for a third time? A: I had noticed a few months ago looking at past winners that no one had won the OKC Memorial 3 times. My husband, Conor, has won it twice. To have now won it a 3rd time is making a bit of history! I have plenty of race opportunities that I could pursue around this time (including the 100K US Championship I just did 2 wks before), but I choose to run my “hometown race” because I know how much it means to my friends and family. I want to be an inspiration to them and the greater Oklahoma endurance community. Also, being a native Oklahoman I know how much it means to everyone to continue to “run to remember” the OKC Bombing– I was discovering my talent as a competitive runner 20 yrs ago, so it’s symbolic and coming full circle to still be running competitively and now for a greater cause and purpose. Q: You mentioned being able to really soak in sites and sounds of the race? Do you have a favorite area/stretch of road on the course? A: I like running through all the historical neighborhoods– the first 10 miles and then the last 6-8 miles. I’m probably not alone in having a love-hate relationship with Lake Hefner! Q: How did you celebrate your third win? A fancy dinner or a long nap? A: A post-race nap and then the annual party at Mark Bravo’s house, although we came a little later than everyone cause of our nap! Q: Your win came two weeks after a 100K run, what is your plan for recovering? A: This was my first time running an ultra in the US, so I really didn’t know what to expect bouncing back from the 100K. I took more days off and less running than expected between the two races, mainly because I was sleepy and had the appetite of a 14 year old boy! My muscles weren’t that sore after the 100K. It was mainly metabolic/endocrine fatigue I felt going into OKC Memorial– I didn’t have the “umph” to push myself hard and felt flat. Since OKC Memorial, I took several more days completely off from running, eating like a horse, sleeping a whole bunch, and then did some “vacation running” up in Oregon. Now I’m feeling ready to build back into regular training. Q: What’s the next big race on your calendar? A: I haven’t planned any immediate races yet– I actually decided not to do Comrades at the end of May, so it’s opened up a huge window to train and/or do domestic races the next two months. Then, my next major race to build towards will be the World 100K Championship in The Netherlands in September. I’m currently #1 in the World for 100K, so I want to be healthy, rested, and fit for this race. There’s several possibilities to pursue American/World Records next fall from 50K and up, so I’d like to get myself into prime marathon fitness. Finally, I’ll carry the fitness into training for the 2016 Olympic Marathon Trials next February in LA.